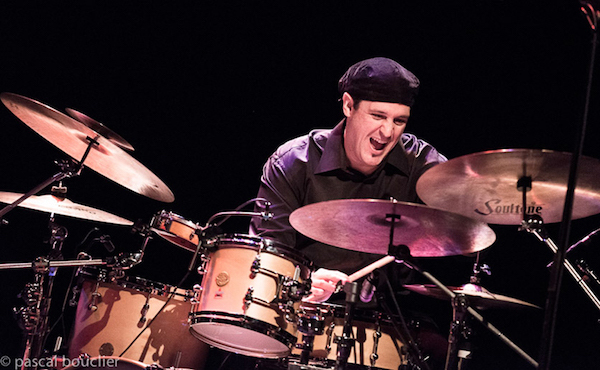 The brazilian-born and New York City–based drummer and composer Mauricio Zottarelli has been on the forefront of the Jazz, Latin and Brazilian music scenes for quite some time. He was awarded an scholarship to attend Berklee College of Music, and graduated from the college with a major in Film Scoring, Performance and Arranging. Mauricio is a critically acclaimed and award-winning drummer and artist. He is credited in more than 70 albums so far in his career, and has worked with dozens of the most important and notable artists of today, crossing over many musical styles. ?Some of them are: Hiromi, Dig Trio, Eliane Elias, Marc Johnson, Prasanna, Esperanza Spalding, Keiko Matsui, Richard Bona, Paquito D’Rivera, Cláudio Roditi, Joe Locke, Geoffrey Keezer, Mike Pope, Ivan Lins, Carmen Souza, Chuck Loeb, Chico Pinheiro, Rosa Passos, Dom Salvador, Jovino Santos Neto, Nilson Matta, Toninho Horta, Filó Machado, Cidinho Teixeira group, Hendrik Meurkens, Oriente Lopez, among many others. Mauricio Zottarelli Quartet at Terraza 7. Friday March 4th, 2016 at 9:30 pm. No Replies to "Mauricio Zottarelli Quartet"